When it comes to your commercial carpets how do you know if they are really clean? Unless you notice an obvious stain or spill you probably have a janitor or staff member run a vacuum cleaner over your carpets and door mats every day or so. According to the knowledgeable experts at Go Green Carpet Cleaning & Restoration, daily vacuuming is nowhere near sufficient enough to keep your carpets as clean as they should be. Over time, dirt, dust, and sand can accumulate on your carpets and a continuous stream of foot traffic can grind this dirt deep into the carpet fibers causing damage which can cause premature aging. What Carpet Contaminants are Affecting Indoor Air Quality? Everyday your shoes and those of your employees and guests travel over a variety of different surfaces picking up dirt, dust, sand and other debris. Even if you have a door mat, the chances are extremely high that your employees and patrons will track these and other contaminants into your office environment. Vacuuming alone will pick up the dirt trapped on the surface but it barely reaches the dirt and debris that is trapped deep down. Schedule an appointment with your Go Green Carpet Cleaning & Restoration specialist for a professional deep carpet cleaning and deodorizing service. With a busy office environment chances are your employees eat and drink at their desks. If you take a close look at their work area you will probably find food particles and drink stains on the carpet. These stains not only look visually unappealing but they can also lead to bacteria growth and sour odors that not only linger they can also make your employees sick. In fact your carpet could be a petri dish of contaminants and bacteria including mold, mildew, E.coli, norovirus, staphylococcus and many others. Mold in particular grows in warm, moist environments and can flourish within 48 hours. The best way to prevent bacteria and mold growth is to have your carpets professionally steam cleaned on a regular basis. Even though you may not see any signs of pests, it does not mean that they are not there lurking beneath the surface. Pests such as dust mites and fleas can thrive in your carpets feeding on skin flakes and dander. Dust mites can be particularly worrisome as they are known to cause allergies asthma and other respiratory issues. Vacuuming your carpets on a regular basis can help but it is not enough to keep your carpets as clean as they should be. Instead keeping your carpets clean and maintained with a professional carpet cleaning service will not only remove all traces of ground in dirt and stains it can also remove bacteria, allergens and pests along with extending the life of your carpets and saving you your hard earned cash.To learn more about commercial carpet cleaning and stain removal services, contact the knowledgeable experts at Go Green Carpet Cleaning & Restoration today. There are some stains on your carpet that are quite hard to remove. The biggest issue is that each of the spills are different and that means that the treatment for them is different as well. You want to be sure that you know the best way to treat the stain. Having a clean carpet is necessary when you want your home to look and feel clean. It takes some effort such as vacuuming in a regular basis and having the carpet cleaned when necessary. The spots and stains will be treated when the carpet cleaning company comes out but you need to know how to treat them yourself. The longer you allow most stains to sit on the carpet the harder they will be to remove. When it comes to juice spills you want to quickly come over and remove the stain as soon as possible. The longer it takes to get to the stain the more it will soak in the carpet and padding as well. When it comes to mud on the carpet you want to actually wait for some time. It is best to treat the mud by allowing it to dry out. Then you can remove the dirt which is easier then treating mud. Knowing the best method is important especially when it comes to getting paint out of your carpet. There is a method that you can use to clean paint off the carpet. You need to be sure that you have the right products and supplies to that you are ready to go. You will need to use WD-40 which you can purchase at a home improvement store. You also want to have a pair of gloves so that you can protect your skin during the cleaning process. Get a clean cloth and some dish soap and warm water. Lastly you need to use a hard object like a credit card or a butter knife. Start by using the butter knife to break the paint off the that is on top of the carpet fibers. Then you can use the WD-40 to soak the space. This will take about 20 minutes to get the paint to break down so that you are able to clean the residue. After you have allowed it to soak use one of your wash clothes to dab at the spot so get the WD-40 as well as the paint off. Lastly you can use the warm water mixed with dish soap to cleanse the area. Soak the space with a spray bottle or wash cloth. Then you can use a clean cloth to dab the area to get the water and rest of the paint off the carpet. If you are concerned with paint on your carpet it is best to call out a professional. We can come out and treat the area and have stains removed. Go Green Carpet Cleaning & Restoration offers professional cleaning and restoration services. It doesn’t make sense that a large, bad stain can be easier to remove than a smaller one that seems easy. To make sense of this let’s look at how professionals handle stains. Stains can be put into two categories, easy and difficult. It’s obvious that some stains are harder to remove than others but what isn’t obvious is why. Stains are easy if they can be removed with a shampoo or spot remover. Easy stains also dissolve in the shampoos and spot removers that are used in carpet cleaning. These stains are usually soil and grease spills from common food. Stains that are difficult are those that aren’t removed easily with shampoo and will need another product and/or procedure. These stains are colored which means they have pigment that colors the product. These stains include paint, ink, nail polish and wax. The pigments in these items makes it very hard to remove these stains because they dye the carpet. Turn Carpet Stain Back into a Liquid – The way difficult stains are removed is with a product that turns the stain back into a liquid, so it can be extracted. Sometimes this is easy. With nail polish, for example, acetone is used. The acetone turns the nail polish back into a liquid making it easier to remove. Ink is a difficult stain to remove and may need different products to re-liquefy it. Chemical Reaction to Fade Carpet Stain – There are other stains that need a chemical reaction to fade the stain. These stains include red wine, coffee, tea, some inks, pet stains and sodas. These can also require different products, and some will be easier to remove than others. 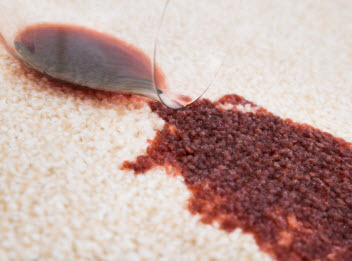 There are a few stains that can only be removed by affecting the color of the carpet, but they are few. Bleach marks are not stains. Bleach marks are permanent damage to the carpet and can only be fixed by recoloring, patching or replacement. You will get the best results with easy stains because they react better to shampoos and spot cleaners, but don’t be discouraged if you need to deal with a difficult one. Inexperienced carpet cleaners may tell you that you have set the stain in with your attempts to remove them and that there isn’t anything that can be done. It is highly unlikely that the products you have used had a reaction with the stain to “set it”. The right technician with the right experience and products should be able to remove most stains. Professionals also know how to handle stains on any kind of carpet. A difficult stain can be the size of a quarter. It may need more time and will most likely require additional products and methods to remove. Easy or difficult, Go Green Carpet Cleaning will be able to get your carpets looking great again. 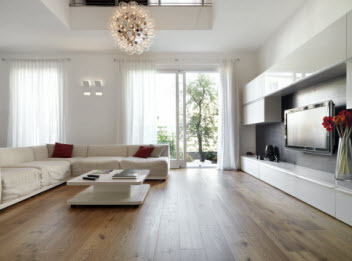 You can trust our professionals to determine which product(s) and methods are needed to get any stain out! Contact us to learn more today! How to Know if Air Ducts Need to Be Cleaned in Saratoga Hills, CA; Duct Cleaning is Worth it! Cleaning in areas you can’t see is just as important as cleaning the obvious. The internal networking needs cleaning as well. One of the most neglected areas that should not be forgotten is the air ducts. The air ducts are part of the HVAC system and are responsible for circulating the air you breathe. There is a plethora of allergens, contagions, contaminants, and particulates that accumulate inside of them. Over time, the buildup can impact your health as well as the efficiency of your HVAC system. Air duct cleaning is well worth the investment as it offers so many different advantages. Go Green Carpet Cleaning & Restoration would like to share a few reasons as to why you need professional air duct cleaning. 1) HVAC efficiency. Obstructions cause the air flow to dwindle considerable. The same debris contributing to the clods in the ducts will also quickly accumulate onto the filters. When the airflow is hindered, it causes the system to compensate for loss, as a result the systems efficiency is not only dropped, but the extra strain lends to increase operating costs and additional wear on the moving parts, leading to increased repairs. Routine air duct cleaning will keep the HVAC system efficiency up to par. 2) Cleanliness. Soon after doing the dusting and cleaning the floors accordingly you notice a fine layer of dust already collecting on the surfaces; you know the air ducts are in poor shape. The dust and debris that is excessive in the air ducts is being introduced in the air ducts, causing the filth to spread. Air ducts cleaning help keeps your routine house cleaning chores in better shape, for a longer period of time. 3) Indoor air quality. Indoor air quality is being recognized around industry leaders in many different arenas. Those especially prone to allergies, asthma, and other respiratory conditions are impacted a little more so, but poor indoor air quality affects us all. As mentioned earlier, the air ducts acquire a lot of different allergens; from pollen, pet dander, dust, dust mites, cockroach carcass remnants, chemical residues, and other such examples. In addition to the allergens, the different contaminates and particulates can easily affect your health on different levels. Ensuring you diligently get your air ducts cleaned can lighten the burdens felt and help members of the house find relief. How Often Do I Need Air Duct Cleaning? After continuous studies, experts agree that to avoid the health concerns, poor HVAC efficiency, and decreased cleanliness of your home, you invest in a professional air duct cleaning every 3-5 years. In the even that your home has endured any remodeling or renovations, fire, smoke, or water damage, or has endured a mold outbreak, then getting an air duct cleaning should be on the top of the to do list as well as before moving into a new home unless there is documentation stating it was recently done. There are many circumstances that will increase the frequency, the more of the below mentioned factors apply to you increases the frequency; 3 or more should get air duct cleaning every 3 years, 2 factors every 4 years, one or less every 5 years. –	Occupants that have frequent asthma attacks, allergies, and other respiratory issues. If you are due for an air duct cleaning, call in the professionals of Go Green Carpet Cleaning & Restoration and let our experts utilize our professional grade equipment and experience to get your air ducts restored to their original state.